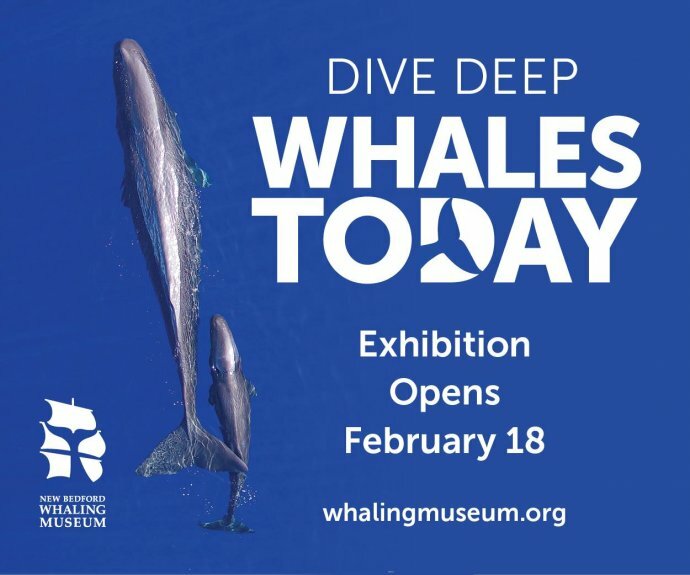 Dive deep into the world of “Whales Today,” New Bedford Whaling Museum’s newly expanded whale ecology, marine mammal conservation, and ocean health exhibition opening on February 18. See how human interaction with whales has evolved over time and learn about whale biology, behavior, and habitat. Gain a better understanding of how scientists study these giants of the deep, and about threats whales and other marine mammals face in their daily lives.